Van Dongen: A Fauve in the City. Hopper’s Concept of Self-Representation Reflected in the Metaphysical Realism of the Space in his Paintings. An artist writes their biographies with the creative imagery and forms of their own creativities. Through the intellectual content and intimate lexicality of depicted scenes the artist expresses spiritual interiority. 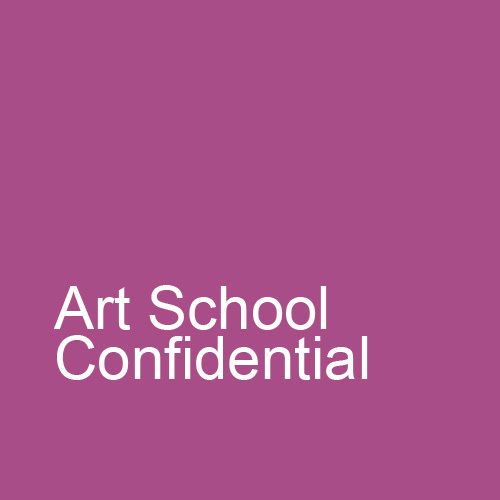 He does it by encrypting information about himself in his artwork; sometimes he does it intentionally and sometimes unconsciously. Edward Hopper would be an excellent example of how through the spatial imagery of the exterior and interior places contained on the surface of his canvases the artist externalized the interior space of his own personality. Many consider Hopper as an icon of “Americanism” and everything what the word itself may imply. He certainly reflected the America of his time. The Hopper’s United States of America at the beginning of twentieth century were passing through the times of great inventions and socio-economic and cultural development. The socio-political instabilities and economic troubles in Europe caused in consequence the Diaspora of various nations towards the American continent. The growing fast European population, especially in the Eastern and Southern parts of Europe, as well as in Ireland, were the leading members of the waves of immigrants looking for better chances of surviving for their families on the new welcoming territories. The flow of immigration brought to the expending country not only working labor but also different cultural values as a part of the integration process. The massive industrialization and immigration had also significant impact on the evolution of the American Art. Many of the new arrivers represented the artistic world of their respective countries. At the beginning of twentieth century the American art was exposed to various European artistic tendencies. In nineteenth thirteenth the Association of American Painters and Sculptors organized the opening of the Armory Show in New York. It was an International Exhibition of Modern Art where American artists exposed their work in the company of international artists representing a waste kaleidoscope of artistic tendencies. The European Avant-gardism inspired the progressive members of the American art scene to create their own artistic liberty. It was in mode to travel to Paris city, which was considered as a capital of artistic modernity, and practice the art of painting there. Many American young artists went to Europe to study these movements and imply these theories when they came back home. The Ashcan School was one of the progressive spirits of the artistic expression during this period. Its members were bored with existing traditions of American idealism, and were rather inspired by the urban Contemporary realities of American life. They depicted the New York’s working class neighborhoods. Through their paintings they contested the conservative aesthetics of American impressionism and academicism in painting and sculpture. The leading character of the Ashcan School was Robert Henri and the terminology of the group was first used by Art Young in nineteenth sixteenth. Edward Hopper, as a young adept in the art of painting, studied in Henri’s atelier together with George Bellows. Both of them at later time were considered as the followers of the theoretical principals of the Ashcan School. Edward Hopper at the early stage of his artistic carrier visited Paris on three occasions, as he would like to follow the established pattern for the beginning American artists. With the significant help of his parents he was able to spend some time in Paris, visiting as well other European cities as London, Amsterdam, Haarlem, Berlin, and Brussels. Hopper, at that period of time, explored museums’ elaborated content of their walls. Most artists during that time resourced their creative batteries gathering the European experiences in Paris and other cities, and soon or later adopted and exposed the Parisian influences in their own artworks. In case of Edward Hopper’s paintings what is extraordinary is the persistent resistance to all artistic tendencies and influences surrounded him during the time of his staying in Europe. Some scholars could probably contest this notion, but Hopper from the very early beginning had his particular perception of surrounding him realities, which did not change during his entire artistic carrier. Through the examination of Edward Hopper’s chosen artworks it is interesting to see how Hopper’s context of space is depicted in relation to the artist’s self-representation. It is interesting to look at how the artist projects through his artwork the essence of American realities and its particular ambiance during the times of “Great Depression” and the periods before and after the World War II. Edward Hopper lived his live surrounded by great artistic changes in painting and sculpture. However, he never was really a member of any particular style, or movement. He drifted between the constantly changing artistic environments by always following his deeply psychological trail of his own and particular only to him creativity. Hopper portrayed himself through the talking architectural forms of light and shadow in his paintings. The dissemination of artist’s imagery through the formal analyze of the use of color and light in his composition of space is exposing its relation to each other in reference to the depicted subject of his paintings. The deeply metaphysical realism of his artworks emanates with certain dose of psychoanalytic Modernity, which is visible through his representation of space and his palette of colors. Through the review of artist’s few artworks it is possible to understand how the content of Hopper’s imagery refers to our Contemporary realities and how the space depicted by the artist affects the space of today’s viewer. The painting titled Sun in an Empty Room (see fig. 1) is one of the artworks, which represent the most Hopper’s artistic complexity. He conceived this artwork four years before his death when in his was eighties and it is almost his last painting. The evocative character of the room’s emptiness is penetrated by the sunlight coming from the open window into the unobstructed metaphysical territory. The sunlight symbolizes the spiritual liberation of consciousness coming with the moment of death. The window represents the passage from the material state to the spiritual one. The bleu horizontal division of the window space indicates the two religious dogmatic forces of the two principal alternatives of afterlife: the eternal Heaven, or the eternal Hell. Hoper came from very religious family practicing the Baptist’s church ceremonial activities. His parents’ contacts through the Baptist church helped him during his first staying in France. The various shades of the shadows reflect the various states of Hopper’s inner intimacy. His frequent frustrations caused by the luck of inspiration and the constant insecurity is contained in these shadowed walls of his painting. Hopper sometimes did not worked for several months looking for the subject, which could motivate him enough to start painting. This particular artwork reflects Hopper’s entire life. It is his most perfect intellectual biography of his artistic persona. He was extremely privet individual and his love of solitude and the discomfort of sociability are depicted in this relatively small canvas. Hopper was extremely well read person. He grew on books and lived with literature as his second most intimate friend through all his life. The painting and reading activities absorbed him the most. The formal aspects of the canvas emphasize even more Hopper’s encapsulated essence of his personality. In the paint particles and the artist’s compositional genie, the gentle strokes of his brush cover the entire imprimatura surface blending softly the warm tones of yellow ochre, sienna, and burnt umber pigments. Through this chromatic ambiance Hopper imprisoned seemingly the impossible, a particular moment of the time of his presence. Hopper painted only two paintings, which resembles in some way to each other, but they are quite different in the psychological sense. The painting titled Room by the Sea (see fig. 2) precedes the Sun in an Empty Room painting by twelve years. The size is similar to the previous canvas, but the space is divided in two plans and the picture projects an optimistic ambiance and it glorifies the free spirit of life in contrast to more sentimental and summarizing content of the later painting. The first room is empty and filled only with the breeze coming from an open sea to the interior space and the artist through the overwhelming bluish tones in the composition expressed it. The second space with some furniture visible through the narrow passage on the left indicates the human presence. The green carpet on the floor refers to the nature, life, and hospitality. The red sofa symbolizes love and the frame and the commode refer to the domesticity of the depicted space. The scene of the painting depicts the view from Hopper’s studio room of the house that he built at Truro on the Cape Cod in Massachusetts where every summer for few months Hopper retrieved from his New York apartment with his wife. In this artwork the artist shares his happiness and enjoyment of the view and the summer weather. In both paintings Hopper speaks about himself and his spiritual comfort, which is secured by the open space of the view spreading in front of him. The view invades the welcoming space of his artistic sensuality supported by the direct beams of the sunlight. It is clear that it is the happy time for him. In this painting Hopper is again exteriorizing his state of interior happiness through the exterior surfaces of his own home space and he does it with the mastery and perfectly balanced composition. Edward Hopper was the master in exteriorizing the interiority of human’s mind. In both paintings he is exposing to the viewer the results of the psychoanalytical exam of his creative personality. The general emblem attached to Hopper’s artistic activities is the “Americanness” of his paintings. Most scholars and art critics consider Hopper as a painter of the American realities. Such perceptive judgment of Hopper’s creativity is understandable, especially when looking at the two another samples of his work. The first painting Office in a Small City (see fig. 3) reflects the reality of working and living in the small American town. The speed of people functioning in small cities is quite different than in such industrial metropolis as New York, Chicago, and Boston. In this painting Hopper surprises the viewer with another great compositional game of depicted spaces. He is accessing from the exterior the interior surface of the office and through the man’s regard to the exterior of the window Hopper is closing the aerial spatial territory, which circulates around the solidity of the building’s corner. Hopper projects in this artwork the “Robinsonian” kid of surviving in America. Everyone depends on his own initiative and the professional success is possible only through the persistent attitude in order to obtain the final goal. Furthermore, the picture indicates the particularities of the American system of working space. Everyone is assigned to his own cage. It is his space to act and perform. Through the building’s window Hopper refer to his own working realities. He sometimes stayed closed in his studio doing nothing else than think in front of the canvas empty white surface. Hopper in this painting portrayed his own complicated interiority. The window acts as a painting frame through which the viewer has the intimate access to the artist’s psychological boundaries of his fragility. In the second example titled Morning Sun (see fig. 4) Hopper depicts a woman sitting on the bed as in the middle of an island surrounded by the immensity of morning sunlight. The projected shadow on the bed might indicate symbolically the lover who just left and the only trace of his presence is the suggestive shade. These two paintings share the same aspect of the framed identities. Is it the socio-political pattern of American realities of the effects of industrialization and its discriminatory social realities, or it is just poetic representation of the Immaculate Conception? Dissecting the image from the Hopper’s perspective, it may be the satirical representation of the artist’s wife and her overwhelming power to which the giant painter was submitted what would indicate the long shadow the woman is sitting on. It is yet another proof of the exteriorization of Hopper’s intimate interiority. The artwork Soir bleu (see fig.5), Hopper’s most unfortunate masterpiece, represents the artist himself as a character inspired by the Harlequin from the Commedia dell’Arte. In this artwork Hopper reflects his own fragility surrounded by the orthodox vulgarity of the public places. He refers also to his own outstanding physical particularities, which made him over exposed to the public eyes wherever he went. He reflects on this fact with the note of irony depicting the Harlequin in white garment smoking the cigarette under the watchful glance of the woman passing by. Hopper compares the profession of a painter to the ridiculed character of Harlequin and his constant naivety of better tomorrow. 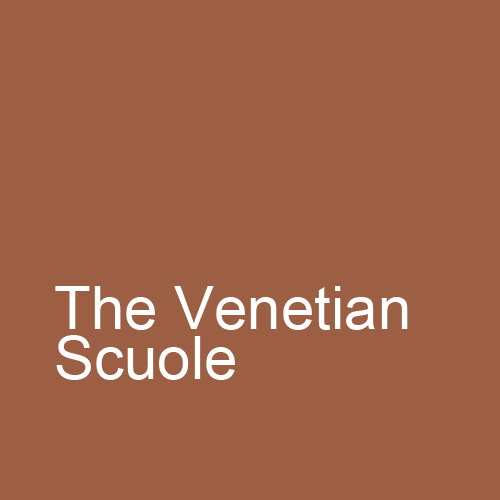 It is an intellectual portrait of artist’s sensibility and artistic consciousness. The Sunday painting (see fig.6) Hopper painted just few years before the “Great Depression” stricken the United States market and as such it has a premonitory character. However, it is mostly about Hopper as a center of attention to the critics writing about his artwork. The lonely sitting character exposed to the light of the public attention to his work is contemplating about the ridicule commentaries on his paintings. The empty shop windows reflect Hopper’s opinion about the judges of his artworks. Hopper’s strongest points are his mastery of perfectly balanced spatial arrangements of his paintings. He achieved in the conceptual structure of his paintings the linear and the chromatic balance completing each other needs perfectly. Hopper owned the beauty of his imagery to his explicit sense of compositional stability. The artist never started to paint before exploring completely his ideas before making a significant amount of preparatory sketches. He was privileged through extremely hard work and persistence to obtain the ability to distinguish the right from the wrong in his painterly mastery through which he portrayed his own multiple facets of his delicate artistic personality. The ambiguity of Hopper’s imagery is omnipresent in his artwork. He may be considered as a painter of the American style of life, but most of all he was projecting his own image through the architecture and synthetically depicted figures of people whom he imprisoned to serve his personal biographical purpose. Hopper cannot simply ignore not to do it. His desire to exteriorize his nature was stronger than his personal control of himself. During the few interviews he accorded during his entire life he often said that in his artwork he is looking for the way to reflect his own artistic anxieties, what would mean that he still did not know at that time that he got it already from the very early beginning of his artistic carrier. When during the Venetian Biennial in nineteenth fifty-two the Italian journalists described Hopper as an American Chirco they proved by such statement that they recognized the artist’s uncommon metaphysical originality. The poetic flattery of such statement certainly made Hopper happy. Despites the variety of painted subjects, Hopper for real painted only about his struggles with his own complicated personality. Hopper was mostly interested in depicting the architecture what inspires an idea that he actually made the painted constructions speak about himself through his canvases trying to depict the most exact transcription of his most intimate impressions. Hopper’s imagery values did not change with the passed time. The narrative content of Hopper’s paintings still reflects the same anxieties of human existence in our Contemporary world and everyone can find his own reflection in his imagery. Hopper encapsulated forever in his artworks the essence of the metaphysical realism of the commonplace coding into it his own artistic biography. During the period of 1850 to 1930 five millions of Germans immigrated to America. From 1820 to 1980 over five millions Italians came to United States, and only between the 1910 and 1920 two millions Italians founded new home in the new country. Between 1820 and 1920 over four millions of Irish arrived to United States. Besides the mentioned nations many Russians, Polish, Greeks and French choose America for their new home. Few most known European artists living in America: Marcel Duchamp arrived in 1915 to New York, Arshile Gorky came in 1920, Max Ernst stayed from 1941 to 1953, Salvadore Dali stayed from 1940 to 1955, Andre Breton stayed from 1941 to 1946 and Francis Picabia stayed from 1913 to 1915. Fauvism, Cubism, Dada, Surrealism, Modernism, and Abstract Expressionism. It was an International Exhibition of Modern Art organized in the New York City’s 69th Regiment Armory, on Lexington Avenue between 25th and 26th Streets, on February 17, 1913. The show ran until March 15,t.h and it was the first time when the New York public was exposed to European Modern art. It was a great inspiration for the American artists to liberate themselves from the established canons of art and create their own artistic visual language. Edward Hopper participated in this exposition with few of his paintings from his Parisian period. Ashcan School was a group of realist painters gathered around the artist Robert Henri and portraying the scenes of every day life in big cities poorest neighborhoods. It was associated with group of The Eight consisted from the artists lead by Robert Henri (1865-1929), American painter and teacher. The other members were: George Luks (1867-1933), Everett Shinn (1876-1953), John French Sloan (1871-1951), Arthur B. Davies (1862-1928), Ernest Lawson (1873-1939) and Maurice Prendergast (1859-1924). Art Young, (1866-1943), American cartoonist and writer. George Bellows (1882-1925), American realist painter most known from his particular depictions of the New York’s city life scenes. Bellows and Hopper are considered as the most interesting artists of the period of their times. Edward Hopper visited Paris three times: in 1906-07, 1909, and in 1910. Hanson, Anne Coffin (1922-2004), American art historian. Hanson in her article “Edward Hopper, American Meaning and French Craft.” Art Journal (Summer, 1981), suggested that Hopper used the nineteenth century French artists technique to prepare the backgrounds of his canvas in various colors in order to obtain specific chromatic effects. The only problem with this statement is that this technique was used as early as Roman wall paintings, so it is not really inspiration inherited from his time he spend in France. Hopper was extremely well read person and knew this technique before coming to France. The Great Depression was a worldwide economic crisis, which started in most countries around 1929. In United States it begun at the end of 1929 and ended with the country’s entrance to the World War II in 1941. Hopper, before he painted his most famous painting the Nighthawks, he spent several months of doing nothing except of looking for the subject to pain. After seven months of inactivity he painted it in three months working without interruptions and not letting anyone to see it, even to his wife. Fortunately for Hopper his wife Jo Hopper (Josephine Nivison) was also painter and lower of books, they shared the same passions. Imprimatura means veil or toned ground it is more common name for the preliminary color coat. As stated in the article of Nochlin, Linda. “Edward Hopper and the Imagery of Alienation.” Art Journal No. 2, (Summer, 1981). Roman Catholic Dogma of the conception without committing a sin, which is based on Biblical story. Hopper was almost two meters high and his wife was little over one meter fifty. Hopper was of calm and phlegmatic nature and his little wife bursting with energetic temperament. She was extremely jealous and after marriage she was Hopper’s the only female model for his paintings. Soir bleu was exposed only once in nineteenth fifteen. After unfavorable critics he rolled the painting and put it in storage. It was just recently discovered and reintroduced to the public. Fifteenth century Italian concept of the improvisational theatre. Its characteristic economy of decoration emphasized the importance of the actor’s role. Most the time the actors composed the satirical texts referring to the local actualities. The performers usually had masks on their faces. The troupes traveled through towns and villages entertaining the habitants. Its popularity lasted from fifteenth to nineteenth century. Giorgio de Chirico (1888-1978), Greek-Italian painter. Inventor of Metaphysical Surrealism. Brown, Milton W. “The Early Realism of Hopper and Burchfield.” College Art Journal, Vol. 7, No. 1 (Autumn, 1947): 3-11. Elovich, Richard. “London. Edward Hopper.” The Burlington Magazine, Vol. 123, No. 935 (Feb., 1981): 110-98. Donnell, Courtney Graham. 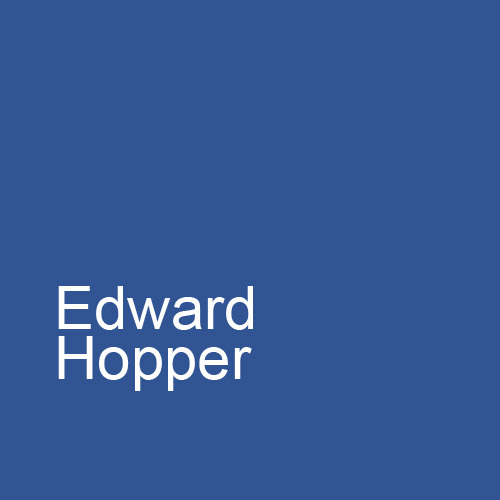 “Edward Hopper: The Art and the Artist.” Bulletin of the Art Institute of Chicago (1973-1982), Vol. 75, No. 4 (Oct. – Dec., 1981): 1-3. Fryd, Vivien Green. Edward Hopper’s “Girlie Show”: Who Is the Silent Partner? American Art, Vol. 14, No. 2 (Summer, 2000): 52-75. Geldzahler, Henry. “Edward Hopper.” The Metropolitan Museum of Art Bulletin, New Series, Vol. 21, No. 3 (Nov., 1962): 113-117. Gillies, Jean. “The Timeless Space of Edward Hopper.” Art Journal, Vol. 31, No. 4 (Summer, 1972): 404-412. Edward Hopper Symposium at the Whitney Museum of American Art (Summer, 1981): 125-135. Hanson, Anne Coffin. “Edward Hopper, American Meaning and French Craft.” Art Journal, Vol. 41, No. 2, Edward Hopper Symposium at the Whitney Museum of American Art (Summer, 1981): 142-149. Hollander, John. “Hopper and the Figure of Room.” Art Journal, Vol. 41, No. 2, Edward Hopper Symposium at the Whitney Museum of American Art (Summer, 1981): 155-160. Levin, Gail. Edward Hopper: An Intimate Biography. New York: Rizzoli, 2007. Levin, Gail. Edward Hopper: The Art and the Artist. New York: Whitney Museum of American Art, 1980. Levin, Gail, and Edward Hopper. Edward Hopper’s “Nighthawks”, Surrealism, and the War. Art Institute of Chicago Museum Studies, Vol. 22, No. 2, Mary Reynolds and the Spirit of Surrealism (1996): 180-195+200. McCoy, Garnett, John D. Morse, and Charles Burchfield. “Burchfield, Charles and Edward Hopper: Some Documentary Notes.” Archives of American Art Journal, Vol. 7, No. 3/4 (Jul. – Oct., 1967): 1-15. No. 2, Edward Hopper Symposium at the Whitney Museum of American Art (Summer, 1981): 136-141. Read, Helen Appleton. “Edward Hopper.” Parnassus, Vol. 5, No. 6 (Nov., 1933): 8-10+30. Souter, Gary. Edward Hopper: Lumière et obscurité. New York: Parkston Press International, 2007. Troyen, Carol, Judith A. Barter, Janet L. Comey, Elliot Bostwick Davis, and Ellen E.
Roberts. Edward Hopper. Boston: MFA Publications, 2007.